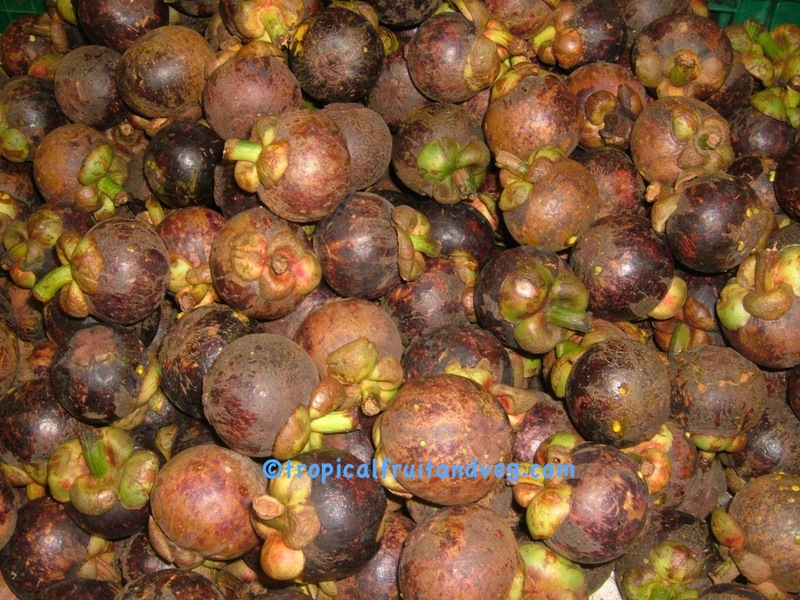 The mangosteen tree is very slow-growing, erect, with a pyramidal crown; grows from 7 to 25 m in height, has dark-brown or nearly black, flaking bark, the inner bark containing much yellow, gummy, bitter latex. The evergreen, opposite, short-stalked leaves are oblong or elliptic, leathery and thick, dark-green, slightly glossy above, yellowish-green and dull beneath 9-25 cm long, 4-10 cm wide, with conspicuous, pale midrib. New leaves are rosy. 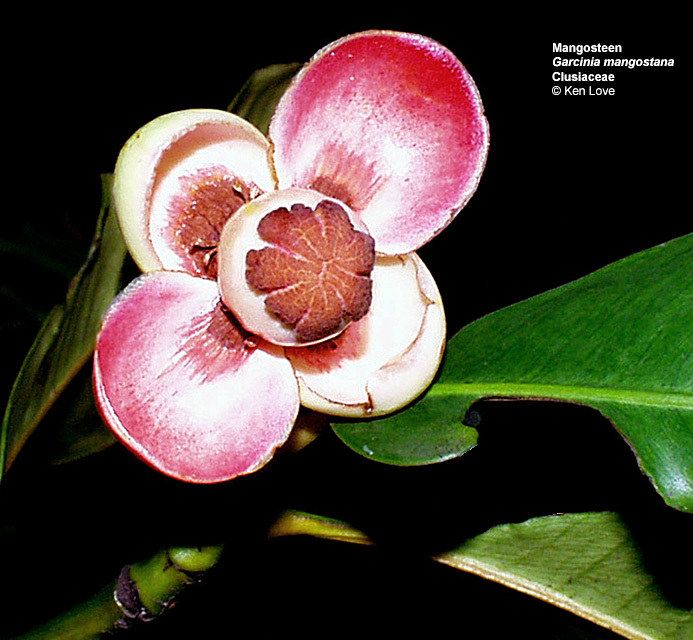 Flowers, 4-5 cm wide and fleshy, may be male or hermaphrodite on the same tree. The rind of the edible fruit is deep reddish purple when ripe. The fragrant flesh is sweet, creamy and citrusy. 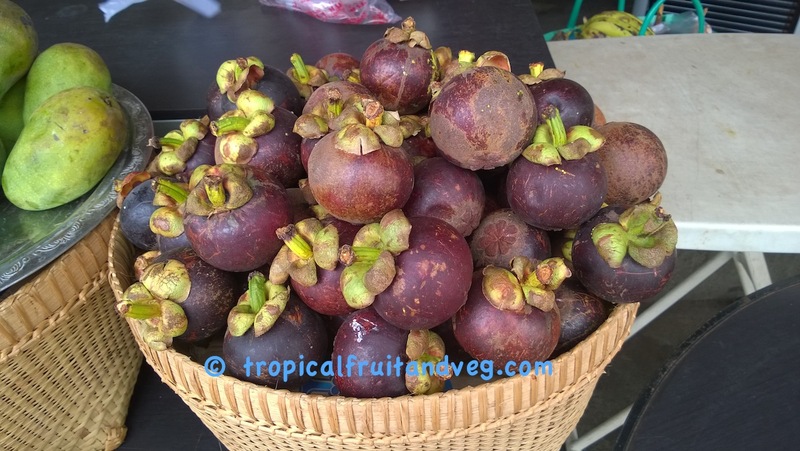 The outer shell of the fruit is rather hard, typically 4-6 cm in diameter, and contains insect-repelling substances which discourage insect infestation. The edible flesh inside is shaped like a peeled tangerine but bright white, about 3-5 cm in diameter, nested in a deep red outer pod. 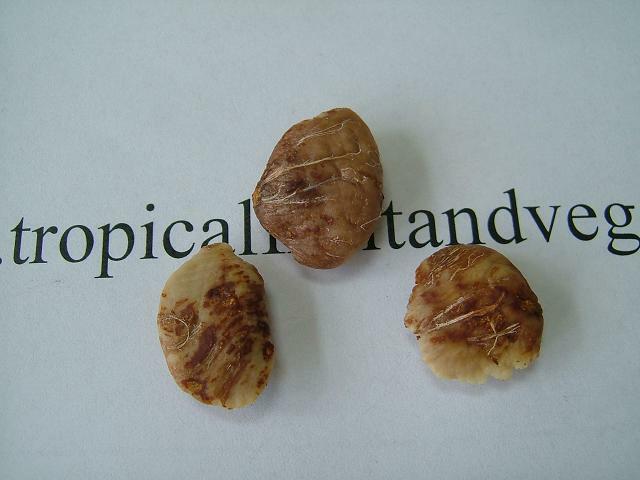 Depending on the fruit size and ripeness, there might be seeds in the segments of the white edible part of the fruit. The seeds, however, are not edible unless cooked. The plant does not start producing fruit until around 15 years old. 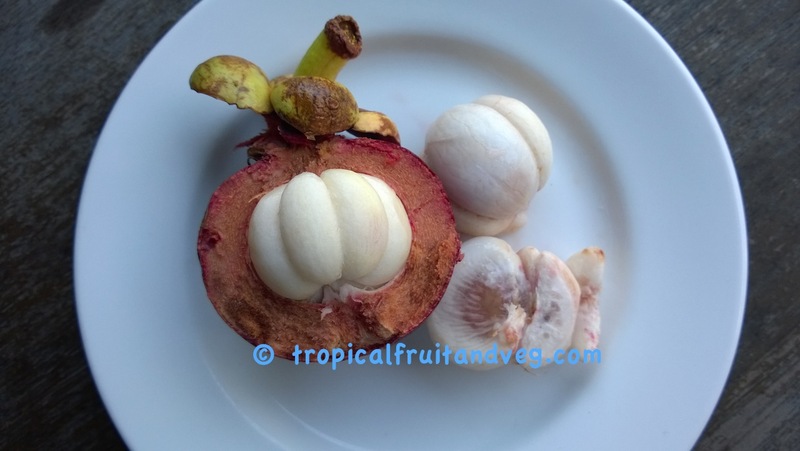 Mangosteen is ultra-tropical and must be grown in consistently warm conditions; exposure to temperatures below 4 �C will generally kill a mature plant. It ordinarily requires high atmospheric humidity and an annual rainfall of at least 120 cm with no long periods of drought. 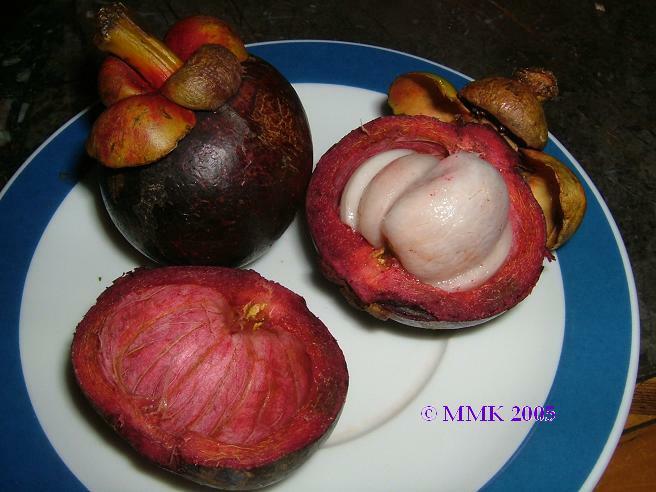 The mangosteen must be sheltered from strong winds and salt spray, as well as saline soil or water. The tree does best in deep, rich organic soil, especially sandy loam or laterite. In India, the most productive specimens are on clay containing much coarse material and a little silt. Sandy alluvial soils are unsuitable and sand low in humus contributes to low yields. The tree needs good drainage.